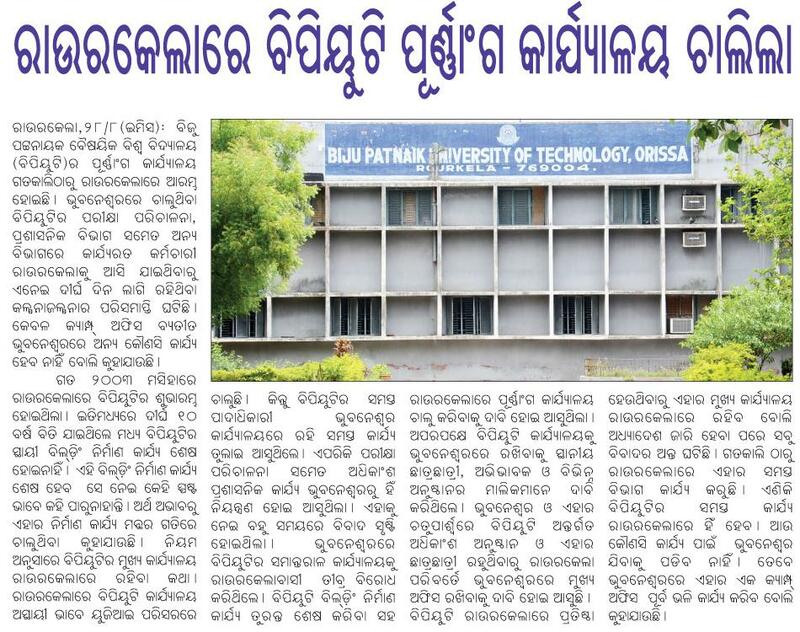 BHUBANESWAR: The Biju Patnaik University of Technology (BPUT) has started five new PG courses in engineering from the coming academic session. The M. Tech courses are in power system engineering, mechanical design, biotechnology, VLSI and embedded system and computer science and engineering. There will be 18 seats in each course. These courses will run at the College of Engineering and Technology (CET), Bhubaneswar, till proper infrastructure is developed at the BPUT campus in Rourkela, said minister of employment and technical education and training Pratap Keshari Deb. “The government has been taking several steps to improve the quality of technical education in the state by bringing reforms in the examination system, following strict guidelines for admission and seat fill-up, recruitment of teachers and opening new courses,” Deb said. Bhubaneswar, Feb. 21: The Biju Patnaik University of Technology (BPUT) plans to collaborate with the Pune-based Centre for Development of Advanced Computing (C-DAC) to work on various key areas of high performance computing, the use of supercomputers and computer clusters to solve advanced computing problems. The university is working on setting up five advanced centres of computing in various institutions in the state and intends to set up a high performance computing cluster in their upcoming campus in Rourkela. “This would help students of MTech to pursue research,” said a senior official of BPUT on the sidelines of the National Symposium on High Performance Computing in Academia and Beyond, organised by C-DAC, department of IT, ministry of communications and IT, in association with BPUT. The programme primarily aimed at creating awareness on high performance computing and its benefits in the academic segment. “The symposium will enable BPUT to introduce similar programmes in their curriculum and enable faculty and students in various scientific and all engineering disciplines of Odisha to exploit the benefits of advanced computing and parallel processing,” said Pradeep K. Sinha, senior director high performance computing, C-DAC. “C-DAC should take the initiative to set up high performance computing labs in all the universities and institutions of the state for the benefit of the scientific and engineering community,” said minister of higher education Badri Narayan Patra, who inaugurated the programme. Patra also said that these centres would act as computing research centres for scientific and academic purposes and address the need of high quality engineering education and high-end computing work for the research community in the eastern region. A faculty development programme on “Current Trends in Distributed Operating Systems” was also organised for the faculty members of engineering, MTech, MCA and mathematics stream of all colleges under the university on the occasion. The Medical Informatics Group of C-DAC is already working for the Odisha Telemedicine Network in the state. ROURKELA: Eight years have gone by. 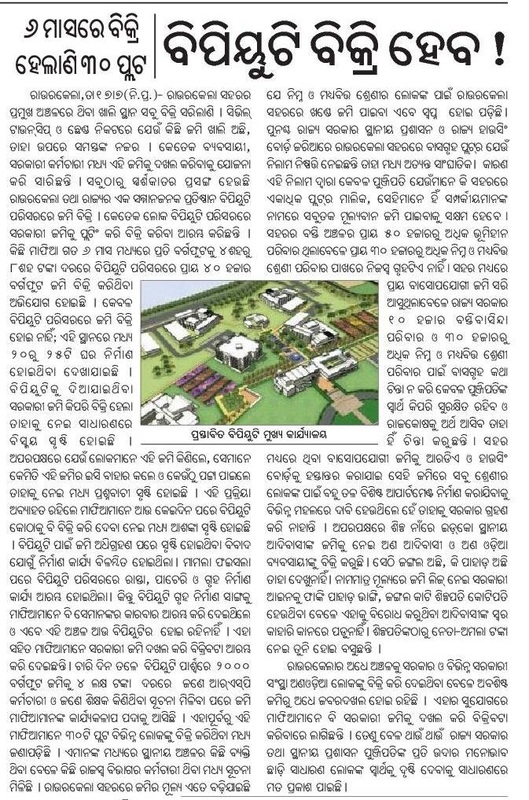 Today what meets the eye at the Biju Patnaik University of Technology (BPUT) campus is the framework of incomplete structures. The construction work at Rourkela is running behind schedule with no known timeframe for its completion. 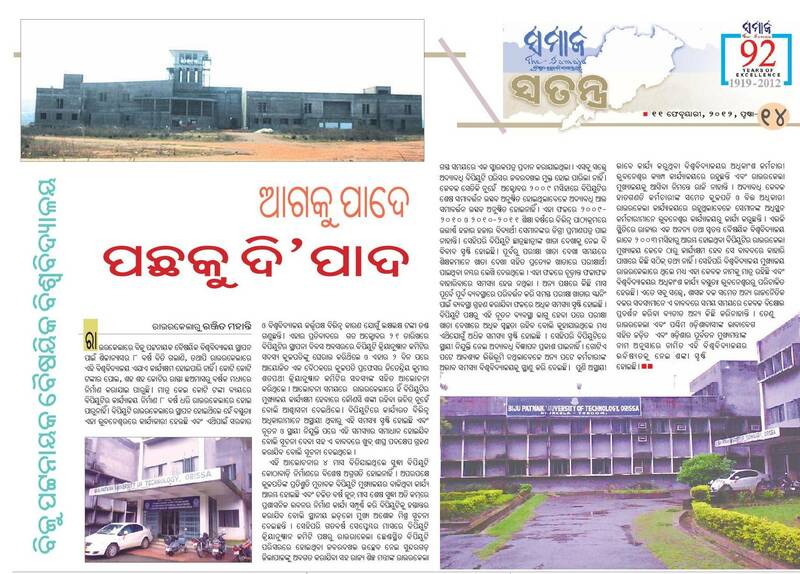 Even as the varsity authorities continue to draw flak for operating from Bhubaneswar, the abrupt halt in the construction has assumed a political tone with conspiracy theory about shifting of the campus elsewhere flying high. The issue has witnessed several protests in the past even as work progressed at a limping pace till 18 months back when it was abruptly stopped. Around 150 acres of land have been allotted for the campus. Building blocks for the five major buildings to house the administrative block, library and computer science department, student complex, centre for advance study and vicechancellor residence have been erected as the total expenditure runs into nearly `25 crore. The executing agency, IDCO refused to take responsibility for the slow pace of work. “We are waiting for design clearance from the BPUT,” said IDCO Divisional Manager AK Mishra. If administrative sources are to be believed, the delay is being attributed to the late realisation on the part of state industries department and BPUT, who have belatedly found fault with the main architecture designs. Neither the Government nor the BPUT is ready to take a decision on the new design, it is being alleged. Despite repeated attempts BPUT vicechancellor Jitendra Satpathy remained incommunicado. On the other hand, BJP’s Panposh organisational district president Dhiren Sepati alleged that it is a ploy to get the varsity shifted from Rourkela. The party will stage a dharna in front of the Chief Minister’s residence in Bhubaneswar next month, he added. Kolkata, Dec 20 (IANS) Vice President Mohammad Hamid Ansari Monday said that higher education cannot improve in India unless state universities are able to obtain more funds, create new infrastructure and enrich their existing academic programmes. ‘Higher education cannot improve in India unless state universities, which are the backbone and represent the bulk of enrolment, are able to obtain greater funds, create new infrastructure and enrich their existing academic programmes,’ Ansari said at the Foundation Day Lecture 2010 of the University of Calcutta. Even though we have been able to achieve an economic growth rate of 9 percent of the GDP despite low enrolment in higher education, it would not be possible for us to sustain such an economic growth, maintain our competitiveness and enhance our productivity without at least doubling our higher education enrolment, he said. ‘We must create avenues for vocational education so that entering universities does not become a default choice for the sake of employment,’ said Ansari.